Since we have lived in Florida, Corey and I have been blessed by getting to know Mark and Becky Wright, founders of Idols Aside Ministries. Mark is a former Appalachian football player, and Becky use to work at Samaritan’s Purse. So needless to say, all four of us hit it off immediately. But it is the passion, humility, and obedience to the Lord’s calling, that I have noticed about Mark and Becky. With the vision the Lord has given them, they are reaching and equipping young souls for Christ, through different sports ministries. 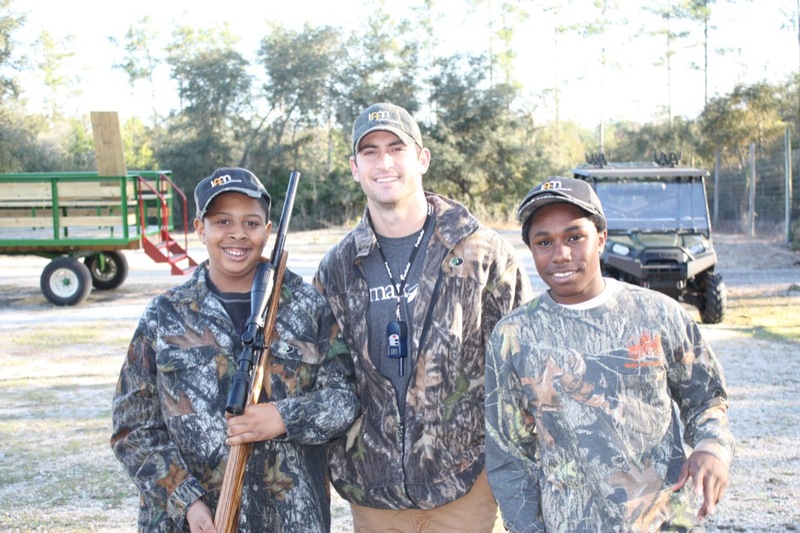 This past weekend, they hosted a Sons without Fathers Hunting Retreat at the beautiful Ross Hammock Ranch. This was a weekend to love on these boys, encourage these boys, have fun with these boys, and for boys to be boys. And in doing so, showing them how much a Heavenly Father loves them. Learning how to shoot! Look at that smile! During lunch and after dinner, the boys would have Bible Study. Luke McCown leading Bible Study around the campfire. Anthony Johnson (Chaplin from Jacksonville Jaguars), Corey Lynch (Tampa Bay), Luke McCown (JacKsonville Jaguars), Adam Hayward (Tampa Bay), and Mark Wright (founder of Idols Aside). I absolutely love this picture with all the boys. -Please continue to pray for Mark and Becky Wright and Idols Aside Ministries. -Pray for Mark’s follow-up with these boys. -Pray these boy’s hearts will continue to be captivated by a Heavenly Father.